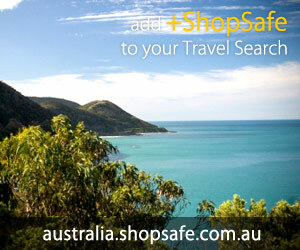 Electronics - Print, Copy, Scan & Fax Accessories - Printer Accessories - ShopSafe. There are 195 products in the Cellular Factory > Electronics - Print, Copy, Scan & Fax Accessories - Printer Accessories ShopSafe Category. Universal Lcd Screen Cleaning Cloth (small, 6.3 X 7 In) For Hp Printer Description: Universal LCD Screen Cleaning Cloth (Small, 6.3 x 7 in) for Hp printer . This Universal Screen Magic Cleaning Cloth (Small, 6.3 x 7 in) can be used to clean any LCD screen of Cell Phones, Digital Cameras, Camcorders, music players, laptops and other screens of more devices. Keep your Digital Camera lens and LCD screen clean and clear. etc. Buy this Universal Lcd Screen Cleaning Cloth (small, 6.3 X 7 In) For Hp Printer today from USD$3.99 on the Cellular Factory website. Brother Mfc-5100c Mfc-3100c Mfc-3200c Mfc-5200c Lc21y Replacement Yellow Inkjet Cartridge Description: Replacement LC21Y Yellow Inkjet Cartridge Is Design For Brother MFC-3100C, MFC-3200C MFC-5100C and MFC-5200C. Yields 450 pages.Compatible With Brother MFC-5100C MFC-3100C MFC-3200C MFC-5200C etc. Buy this Brother Mfc-5100c Mfc-3100c Mfc-3200c Mfc-5200c Lc21y Replacement Yellow Inkjet Cartridge today from USD$4.42 on the Cellular Factory website. Epson Tm-u220 Tm-u300 Tm-u375 Tm-u230 Tm-u200 Replacement Erc-38b Ribbon Description: Epson TM-U220 TM-U300 TM-U375 TM-U230 TM-U200 Replacement ERC-38B Ribbon .The compatible replacement cartridges and supplies (also known as generic) are specially engineered to meet the highest standards of quality, reliability and exceptional yields that meet to exceed OEM (Original Equipment Manufacturer) standards and offer high-quality printing results. etc. Buy this Epson Tm-u220 Tm-u300 Tm-u375 Tm-u230 Tm-u200 Replacement Erc-38b Ribbon today from USD$4.46 on the Cellular Factory website. Universal Lcd Screen Cleaning Cloth (big, 15.8 X 11.8 In) For Samsung Printer Description: Universal LCD Screen Cleaning Cloth (Big, 15.8 x 11.8 in) for Samsung printer . This Universal Screen Magic Cleaning Cloth (Big, 15.8 x 11.8 in) can be used to clean any LCD screen of Cell Phones, Digital Cameras, Camcorders, music players, laptops and other screens of more devices. etc. Buy this Universal Lcd Screen Cleaning Cloth (big, 15.8 X 11.8 In) For Samsung Printer today from USD$4.98 on the Cellular Factory website. Universal Lcd Screen Cleaning Cloth (big, 15.8 X 11.8 In) For Toshiba Printer Description: Universal LCD Screen Cleaning Cloth (Big, 15.8 x 11.8 in) for Toshiba printer . This Universal Screen Magic Cleaning Cloth (Big, 15.8 x 11.8 in) can be used to clean any LCD screen of Cell Phones, Digital Cameras, Camcorders, music players, laptops and other screens of more devices. etc. Buy this Universal Lcd Screen Cleaning Cloth (big, 15.8 X 11.8 In) For Toshiba Printer today from USD$4.98 on the Cellular Factory website. Universal Lcd Screen Cleaning Cloth (big, 15.8 X 11.8 In) For Ricoh Printer Description: Universal LCD Screen Cleaning Cloth (Big, 15.8 x 11.8 in) for Ricoh printer . This Universal Screen Magic Cleaning Cloth (Big, 15.8 x 11.8 in) can be used to clean any LCD screen of Cell Phones, Digital Cameras, Camcorders, music players, laptops and other screens of more devices. etc. Buy this Universal Lcd Screen Cleaning Cloth (big, 15.8 X 11.8 In) For Ricoh Printer today from USD$4.98 on the Cellular Factory website. Hp Photosmart C5140 C6283 D7355 3210xi C6288 C8775wn (hp 02) Replacement Light Magenta Ink Cartridge Description: Hp PhotoSmart C5140 Photosmart C6283 D7355 3210xi C6288 C8775WN (HP 02) Replacement Light Magenta Ink Cartridge .Replacement Light Magenta Ink Cartridge For HP 02 C8775WN.Ink cartridges are manufactured to meet original specifications. Quality and performance is guaranteed. Compatible with HP Photosmart 3200, 3210, 3310, 8250, C6280, C7280, C8180, D7160, D7260, D7360, D7460 Printers. etc. Buy this Hp Photosmart C5140 C6283 D7355 3210xi C6288 C8775wn (hp 02) Replacement Light Magenta Ink Cartridge today from USD$5.00 on the Cellular Factory website. Microsd/transflash & Sim Card Reader/writer (black) For Hp Printer Description: MicroSD - TransFlash & SIM Card Reader - Writer (Black) for Hp printer . This MicroSD - Trans-Flash & SIM Card Reader - Writer (Black) is for you to use to read or write the supported cards.Stylish Form Small Size Fully support USB 2.0FEATURES: For users to access, edit and backup the phone book and messages on the SIM card. etc. Buy this Microsd/transflash & Sim Card Reader/writer (black) For Hp Printer today from USD$5.48 on the Cellular Factory website. Blue Cleaner Air Blower For Samsung Printer Description: Blue Cleaner Air Blower for Samsung printer . Blue Air Blower for you to use to clear lens, camcorder, camera, including CCD sensor, musical instrument, keyboard, computer, filter, and etc. The Air Blower is an ideal tool to remove dust or dirt on lens, filter glass, image sensor, memory card slot, viewfinder, LCD screen on camera, etc. etc. Buy this Blue Cleaner Air Blower For Samsung Printer today from USD$5.48 on the Cellular Factory website. Blue Cleaner Air Blower For Brother Printer Description: Blue Cleaner Air Blower for Brother printer . Blue Air Blower for you to use to clear lens, camcorder, camera, including CCD sensor, musical instrument, keyboard, computer, filter, and etc. The Air Blower is an ideal tool to remove dust or dirt on lens, filter glass, image sensor, memory card slot, viewfinder, LCD screen on camera, etc. etc. Buy this Blue Cleaner Air Blower For Brother Printer today from USD$5.48 on the Cellular Factory website. Universal Lens Cleaning Pen For Lexmark Printer Description: Universal Lens Cleaning Pen for Lexmark printer . Summary:Accessory! Reduces static build-up. Handy Dust Removal Brush. Unique Non Liquid Compound. Will not spill or dry out Fits Easily into Camera Bag, Purse or Pocket. Environmentally Friendly and non-toxic. High Quality Retractable Cleaning brush FEATURES:Unique Shaped Cleaning Tip for those hard to reach CCD Sensors on Digital Cameras. etc. Buy this Universal Lens Cleaning Pen For Lexmark Printer today from USD$5.78 on the Cellular Factory website. All In One Mini Memory Card Reader (bamboo Pattern) For Hp Printer Description: All in One Mini Memory Card Reader (Bamboo Pattern) for Hp printer . This Beautiful Bamboo design, Simple, Lightweight, and stylish gadget has everything you may think of and get. There is card holder designed in the memory card reader. You can hold your memory card in the reader. etc. Buy this All In One Mini Memory Card Reader (bamboo Pattern) For Hp Printer today from USD$5.98 on the Cellular Factory website.